The news that the meat-free Whopper is being trialled in the US this month is only further proof that vegetarian, vegan and 'flexitarian' diets are here to stay. Irish farmers think that meat businesses don't get any bigger than Larry Goodman's ABP, but that company's 10,000 employees is dwarfed by Tyson Foods with their 122,000 workers. Farmers need to stop claiming that if we had to rely on vegans to feed the world, we'd all go hungry. It's a lame attempt to ignore the real point. Equally, claims that you cannot get enough nutrients from a vegan diet ignores the fact that a big chunk of the world's population in places like India have effectively been living off a vegetarian diet for centuries. The assertion that annoys me most is the one about the plight of all the farm animals if the world went vegetarian. Again, this is nonsense since the only reason the 25 billion cattle, sheep, goats, chickens and other livestock currently exist is because there's a market for them. If it wasn't worth farmers' while putting the animals in calf or producing the eggs, animal numbers would fall. The world is never going to switch to a vegetarian diet overnight, so scaremongering about unwanted animals wandering the highways of the world is just some meat-eater's poorly conceived nightmare. Arguing that ruminants are the only way to convert grass into something useful for humans sounds bogus to me, too. Grass could just be switched from bovines and ovines to anaerobic digestors. In fact, it might be a lot more profitable for Irish farmers at current beef prices. I see the European Parliament is proposing a ban on companies using terms like burger, sausage and steak for anything that isn't from an animal. This follows similar moves by the cattle ranchers lobby on the other side of the Atlantic. The theory is that the dairy industry is losing out on sales to all the dairy alternatives such as soya, almond and oat milk because it didn't act fast enough to prevent other businesses using the word milk. But you can see the slippery slope starting when coconut milk has always been known as, er, milk. Do we need to relabel mince pies, too? While it might buy a bit of time, marketers will get around any rules, and in the end, the consumer will choose what they want, regardless of what it is called. I remember the horror on some of my colleagues' faces in another agricultural publication when I revealed that couscous was a regular part of my weekly diet. I bet that the same people in that same office today eat less meat than they did 10 years ago. We're all being advised to eat less meat if we want to live longer. So the general population is slipping gradually into a flexitarian diet where meat features, but less as a staple. Anyone who ignores the massive issues facing livestock farming shouldn't be in livestock. The combined forces of climate change, animal welfare and health concerns about high levels of meat consumption are unstoppable. That's not to say that we can't figure out better ways of producing meat and animal products. But it's not a stretch to suggest that livestock farming could go the same way as the slave trade over the next century. A vote at the recent Oxford Farming Conference - a bastion of commercially minded agriculturalists - showed that only 20pc believed that things would continue as they were. Nearly 40pc thought that the future was vegan. This view was doubtless influenced by the growing array of meat-free alternatives that are being developed around the world. Whether it's Whoppers made out of a soya-potato-coconut combo, meat grown in petri dishes, bug-burgers, 3D printers, algae-derivatives or whatever, you can be sure that there is now a vegan option in a shop near you. The vegan lifestyle is a western thing at this point and, even if people become more choosy in what animal products they consume, there will still be a big market for premium animal products. And that's before you consider the fact that developing economies in Asia and Africa are only beginning to discover the pleasure of being able to afford animal protein. They'll be the banker for the global livestock sector for decades to come. The challenge is how to future-proof our businesses against the challenges that veganism will pose, and to me that is to target the premium sector. Irish livestock farmers are in a better place than most in this regard. But we also have to accept that vegans and livestock farmers will be a bit like the Protestants and the Catholics. They will forever fundamentally disagree on things close to their hearts. That can be a recipe for all-out war, as we well know. But as we also know, we can accept the differences and get on with each other anyway. It's a choice, and one we need to make sooner rather than later. 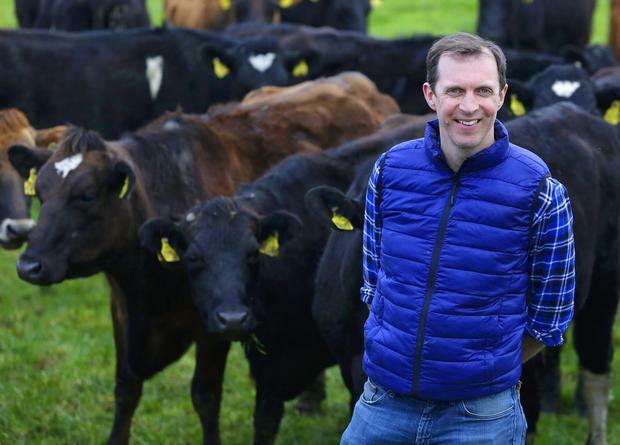 Darragh McCullough farms in Meath and presents RTÉ's Ear to the Ground television programme.